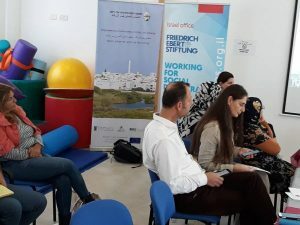 A conference of experts and residents took place today in the village of Jisr al-Zarqa with the participation of health experts and local residents, most of them women. 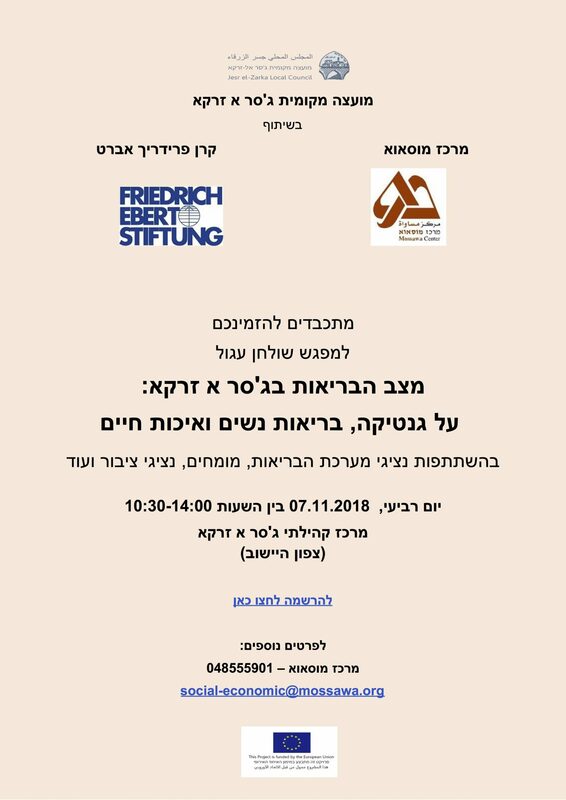 The conference is part of an economic development project initiated by the Mossawa Center in collaboration with the Friedrich Ebert Stiftung Israel and the local council. The conference is attended by women from the community – as part of a local female leadership group, some with central roles in the local health system, heads of the health system in the community and in the district, as well as experts and researchers, including Prof. Mughir Khamaisi – Head of the Public Health Association, Ms. Manal Jarban – Director of Nursing Clalit Health Fund in Jisr Azraqa, Ms. Ahlam Khamis – Promotes District Health in the Ministry of Health in the Haifa District and Mr. Rassem G. Raban, director of the social welfare department at the al-Zarqa branch. The purpose of the discussion is to find real solutions to improve health services in Jisr al-Zarqa and the health of the residents. >> Download the invitation in Hebrew here.